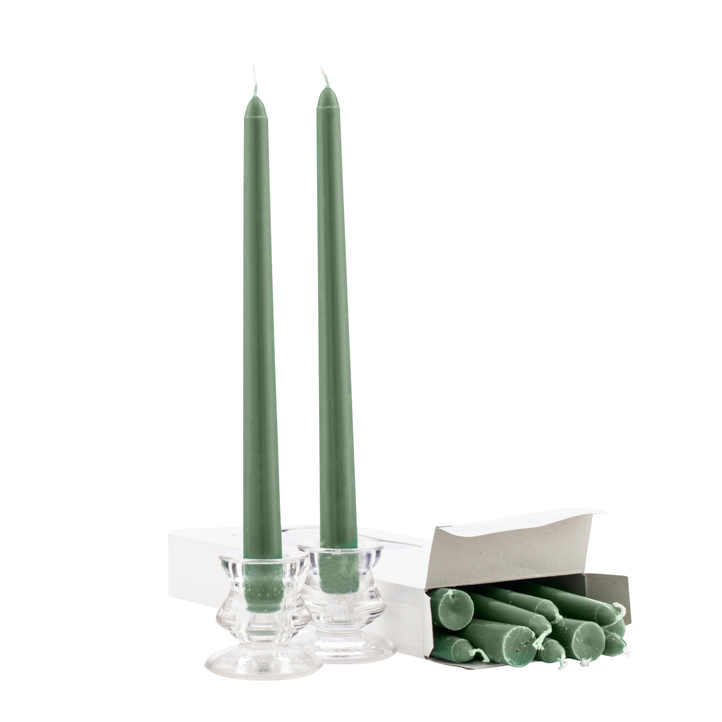 Green taper candles, wholesale case of 144 green taper candles, they are 10 inch taper candles. They are packed 12 candles to white box with square plastic cut out to view candles. 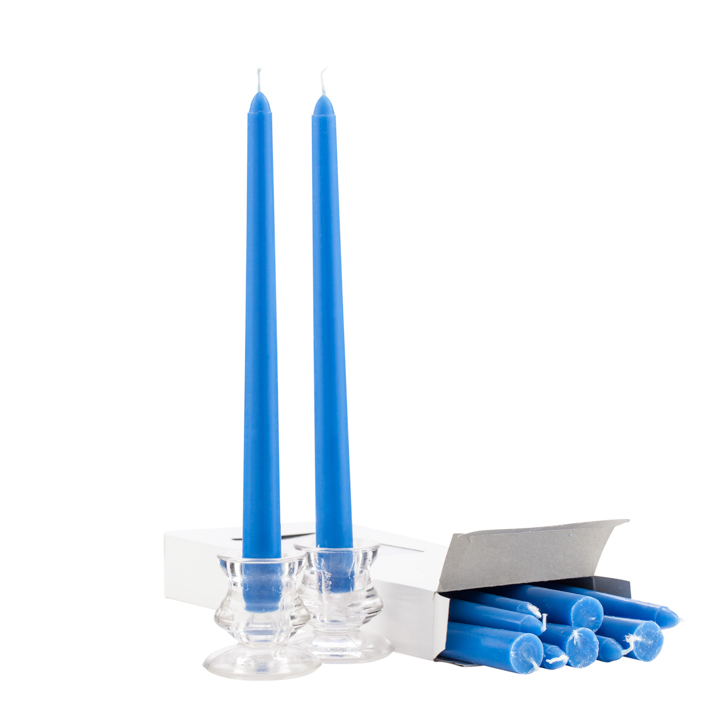 Case has 12 boxes of 12 taper candles. 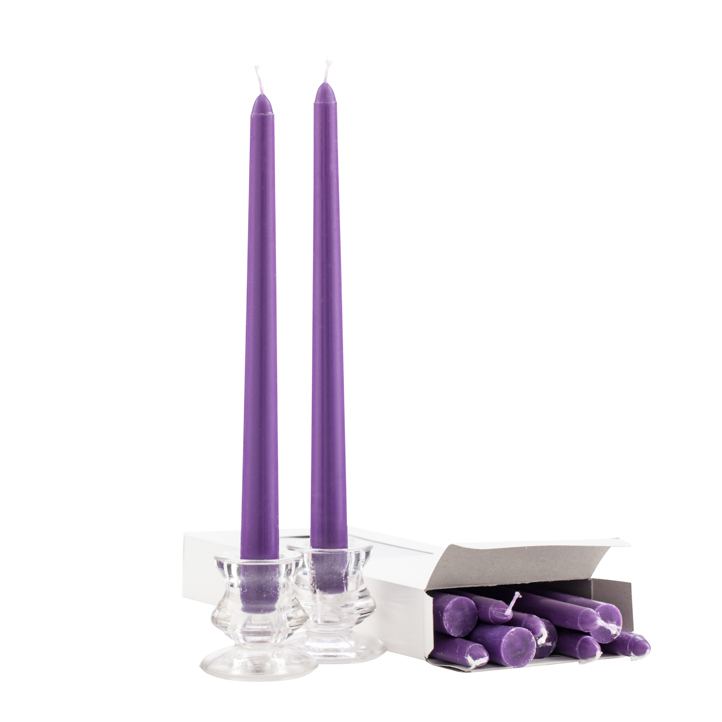 Taper candles will not drip if burned in a draft free location. 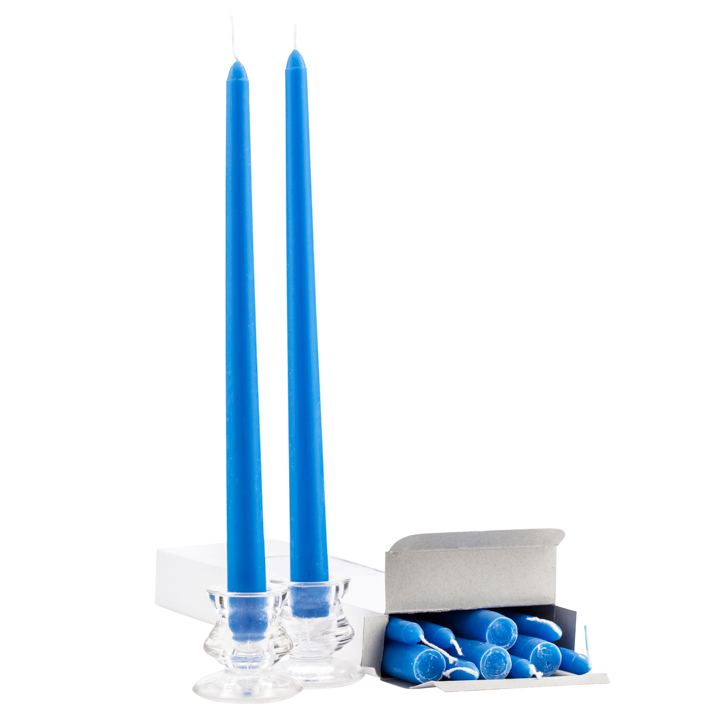 Solid color through out the candle, candles are not dipped. 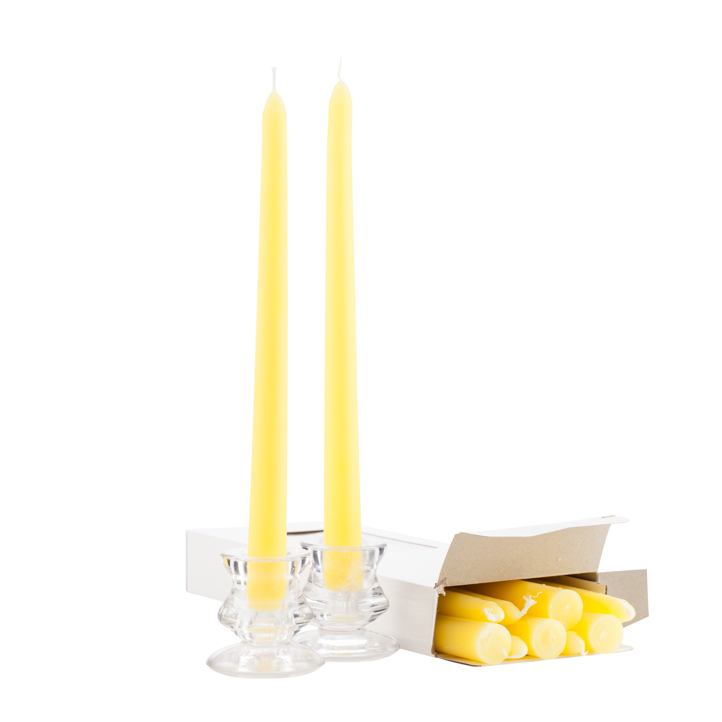 Great candle for restaurants and weddings.